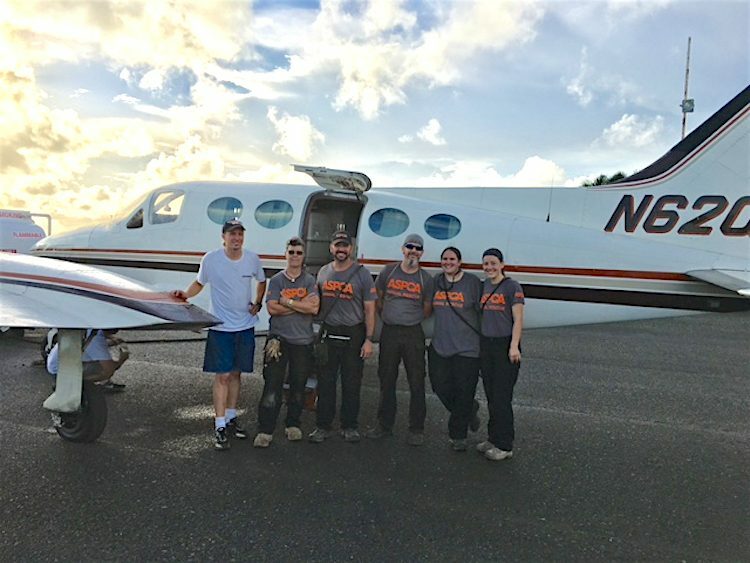 In 2017, a little more than a week before Christmas, Ted DuPuis, founder and pilot of Cloud Nine Rescue Flights, made his 5th and final trip from St. Croix in the aftermath of Hurricane Maria. 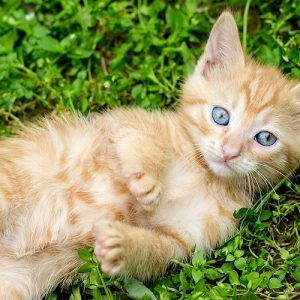 The mission was to transport orphaned cats and dogs from the ASPCA’s emergency shelter in the U.S. Virgin Islands to mainland rescue groups, where the animals would be made available for adoption. 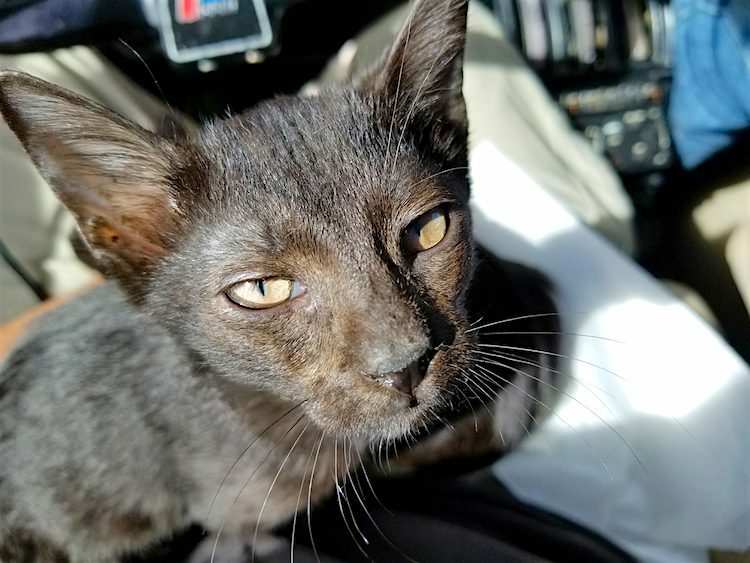 Of the 24 precious cargo on that last flight, a pair of kittens had already been adopted by co-pilot Steven Thomas. They occupied a crate near the front of the twin-engine turboprop plane. “When we were in cruise mode, we took them out and played with them,” recalls DuPuis, who has flown more than 2,500 animals to their rescue over the past 10 years via the all-volunteer, nonprofit organization. 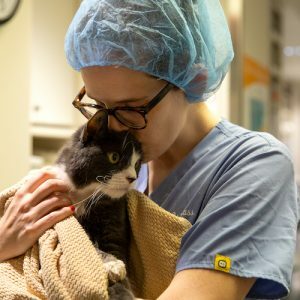 DuPuis — who, a few years earlier, had transported 52 cats to Seattle after the Joplin, Missouri, tornado — flew 2 back-to-back trips in November 2017 and 3 in December 2017 from St. Croix to the U.S. mainland, relocating a total of 112 animals. 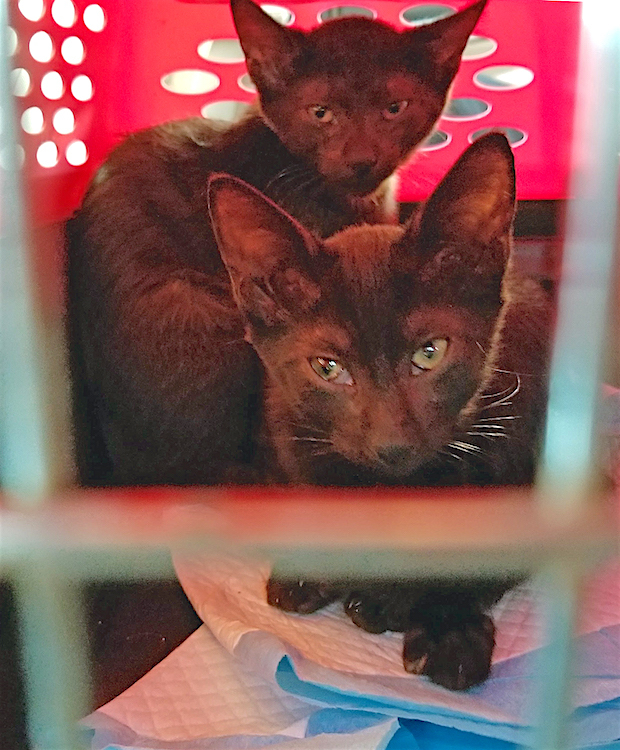 At a temporary shelter on St. Croix, DuPuis had watched as his co-pilot went about selecting a kitten to take home to his family. Expecting to take home only 1 cat, Steven Thomas couldn’t separate these bonded cats. Thomas, a commercial-rated hobby pilot who works for LXDX, and DuPuis, who works in the aviation industry, have known each other since they first learned to fly. “I knew when I started flying that I wanted to give back to the community with my aviation skills,” says DuPuis, who volunteered at his local animal shelter and adopted his first dog when he started flying. “The more I did it, the more I liked it,” he says. Unless called in to help during a disaster, DuPuis typically flies 2 transports a month. He is present for every Cloud Nine flight. Transport can help rescue a lot of animals from disasters. DuPuis and his family have several rescued animals, including a retired racing Greyhound, cats, fish and a bunny. But he resists the urge to adopt animals from his transports. Ted DuPuis and Steven Thomas have known each other since their early flying days. On December 17, 2017, the Cloud Nine Rescue Flights plane was loaded with animals for the last time that year. As it headed into the skies, the meows and barks on board subsided, and the cabin grew quiet. The next day, at the Thomas home, Christmas came early. These rescued animals have been through a lot. 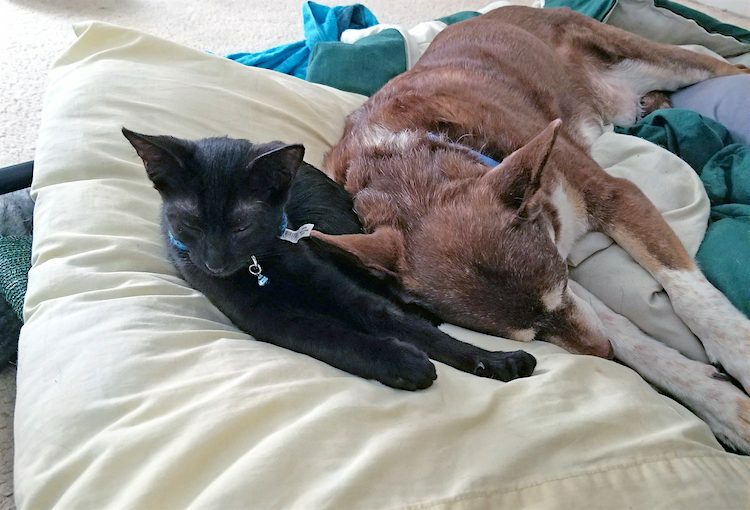 The new feline additions to the family were quickly named by Thomas’s young sons, who chose Wheatley and Fus Ro Dah (Fus for short), both based on video games. The family’s other pets include 8 hens and a rooster — also named after video game characters — who free-range in the yard, as well as rescue dogs Yuna and Cloud. 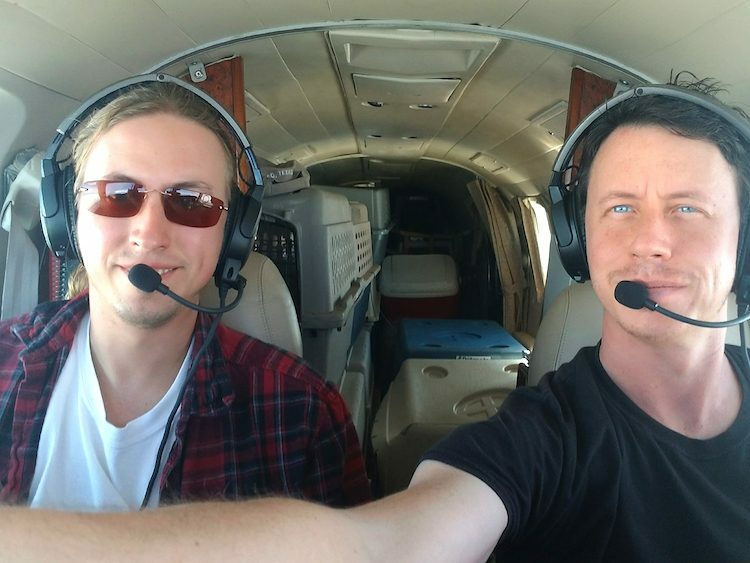 For both DuPuis and Thomas, a feeling of euphoria greets them every time a Cloud Nine Rescue Flight’s wheels touch down. “It’s our way of using what we’re most passionate about to help others,” adds Thomas. Anita Kelso Edson has been on the Media & Communications team at the ASPCA for more than 12 years. In her previous role, she spent 6 years as director of publicity for the SPCA of Texas in Dallas.